Welcome to the Nikwax blog » Nikwax® offers more than just waterproofing – it also targets sweat! 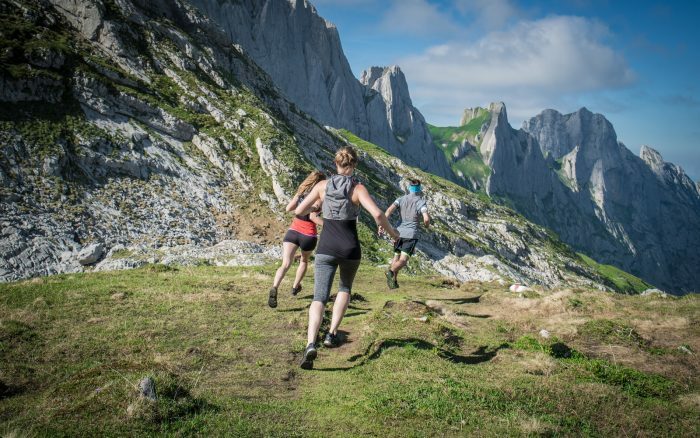 Are you fed up of washing your base layers and technical next-to-skin clothing, only to find they start to smell when you next wear them and that your sweat is not wicking away properly, leaving you uncomfortable when being active? You may find yourself washing the items more frequently; however, washing in standard household detergent will not solve the problem – it will keep on happening. These garments are designed to maintain your body temperature when being active. 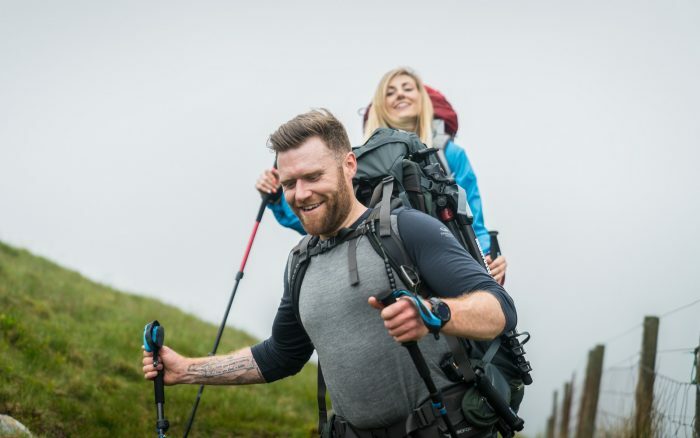 Sweat and moisture are drawn away from the skin due to the highly wicking, breathable fabric – it spreads over a large area and subsequently dries quickly, which means you won’t suddenly feel wet or cold. Whereas, if you were being highly active in a normal t-shirt, you may find that sweat is not drying, but rather being absorbed into the fabric – as a result you will experience discomfort from the sweat cooling on your skin and the garment chafing as you move. Washing in regular detergent and fabric conditioner reduce the performance of base layers: wicking is impaired, odours are masked by perfume and not properly removed, so you feel uncomfortable and smelly! Footwear is also of importance – how many of us experience damp, smelly sports shoes or sandals? 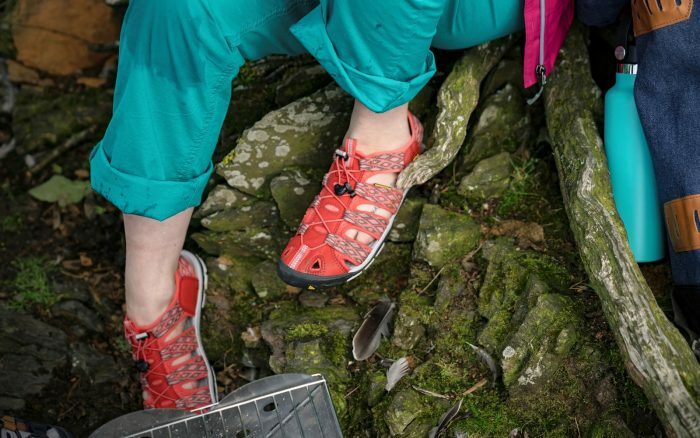 Dirt and odours are not just limited to clothing; footwear is also affected if not properly cleaned and can lead to the materials starting to decompose, which reduces the useful lifetime of your non-waterproof footwear. There is a solution! Nikwax offer a high performance range of Sweatproofing products that have low environmental impact and even save on energy as they allow you to wash your garments less often, plus they can be left to dry naturally. Your garments will have enhanced performance and you will stay dry, comfortable and smelling fresh. So what are you waiting for? Read on to find the Nikwax® Sweatproofing aftercare to suit your needs and learn how easy it is to use! 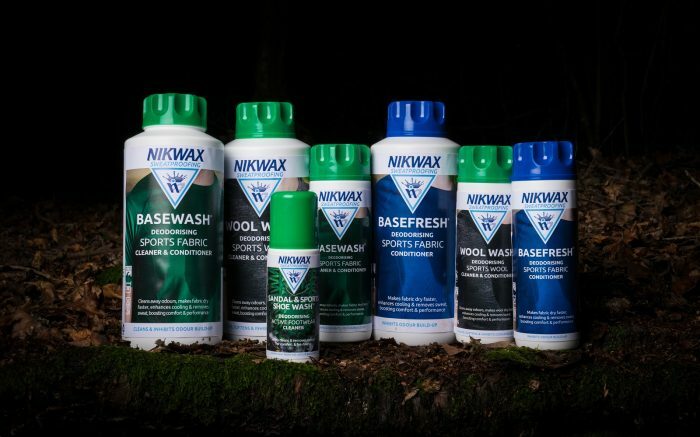 Nikwax BaseWash®: for synthetic technical base layers. BaseWash both cleans AND conditions! Dirt, contaminants, bacteria and built-in odours are removed, whilst freshness is restored from its deodorising capability. Garment wicking properties are revived, ensuring sweat and/or moisture will spread over a large area and, subsequently, dry faster. BaseWash can be used neat to tackle tough stains prior to washing. Best for if you have a full load of base layers to clean (whereas BaseFresh is fantastic for a smaller amount that you could clean with regular laundry whilst maintaining the garments’ technical abilities). Machine wash: only 50ml is required per wash and no need for additional detergent. Wash according to care label (note: do not use fabric conditioner). Hand wash: just 25ml of product is required in hand-hot water, followed by 3 rinses in cold water. Nikwax BaseFresh®: for technical, wicking, next-to-skin garments and regular laundry. BaseFresh is a high performance conditioner that deodorises fabric, removing built-in odours and preventing their build-up. It can be used with standard detergent: its formulation allows the detergent to clean away dirt and contaminants without compromising the fabric’s performance properties. BaseFresh can be used in any standard laundry load, is not just for synthetic fabrics, and can replace standard household fabric conditioners. Use in-between cycles of BaseWash to maintain the breathability, wicking and freshness of technical base layers. It will also make fabrics more resistant to stains. Great to use if you just need to clean a couple of base layers and want to include them in a regular laundry load. Machine wash: just add 50ml to the fabric conditioner drawer of your washing machine, ensuring any standard conditioner residue is fully cleaned out beforehand. Wash according to the care label. Nikwax Wool Wash: for woollen technical underwear and next-to-skin garments. Wool Wash is gentle yet high performing, both cleaning and conditioning woollen garments during one wash cycle. It can also be used on Merino wool. Its technical capabilities revitalise the wicking properties of the wool, to spread moisture over a large area and dry quickly, maintaining vital breathability. The conditioner in Wool Wash effectively removes all odours, deodorising the fabric to keep people smelling fresh when wearing their woollen layers. Wool Wash ensures that woollen garments stay soft and comfortable, as well as inhibiting the build-up of any pilling on the fabric. Garments look and feel newer for longer. You can use neat Wool Wash to treat stubborn stains before washing. Machine wash: just 50ml of Wool Wash required and wash according to care label (note: do not use fabric conditioner and do not use on waterproof clothing). Nikwax Sandal Wash: for all non-waterproof footwear. Sandal Wash is the specialist deodorising cleaner for all non-waterproof footwear, removing built-in dirt whilst effectively freshening. It can be used on footbeds and insoles, aside from the main footwear material, to give an optimum clean. Sandal Wash helps prevent degradation of the shoes’ fabric and composition, caused by the build-up of bacteria. Footwear will last longer! It thoroughly deodorises footwear, banishing smells and reducing bacterial growth. Apply by hand: rinse footwear in water to remove loose dirt, use the sponge applicator to apply product all over the shoes/footbeds, rinse well with clean water and leave to dry naturally. Use Nikwax Sweatproofing and you will get more out of your base layers and footwear. Clothing will last much longer, which in turn helps to reduce the volume of garments and footwear that end up in landfill. So not only do you help yourself by using Nikwax Sweatproofing, you are helping the environment too!